Breakup Doctor Brook Ogden has spent the last year sifting through the fallout from the disastrous decision that led to her unconscious uncoupling with boyfriend Ben Garrett. Despite advising her clients you can’t be friends with an ex, she and Ben have somehow begun to stitch together a friendship—one Brook hopes is slowly turning into more. That is, until Ben introduces his new girlfriend, Perfect Pamela, a paragon of womanly virtues who is everything Brook is not. While Brook navigates her newly volatile emotional life, an unwelcome surprise shows up on her doorstep: the ex-fiancé who broke her heart two years ago—one month before their wedding. Between her ex’s desire to rekindle their attachment, her best friend Sasha’s unexpected crisis, and her own unsquelchable feelings for Ben, Brook finds herself questioning the personal progress she’s made in the last two years—and threatened with the highest-stakes Breakup Doctor failures she’s ever faced. 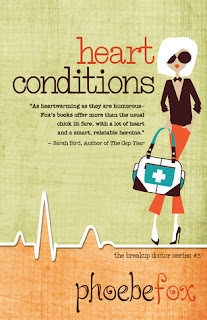 Breakup Doctor, Brook Ogden is back with another story after her disastrous relationship in the previous book. Brook and Ben are no longer together after what happened between them, but that didn't stop them from being friends. Only that, Brook was hoping for something more, until Ben introduced her to his new girlfriend, Pamela, who seems so perfect. Brook received another surprise when her ex-fiance, the one who broke her heart years ago, just one month before their wedding, showed up in her life. Wow! I have to say that I like the series a bit more. 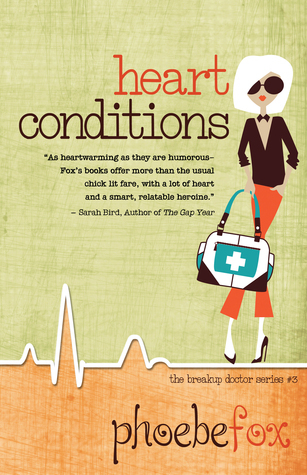 The Breakup Doctor series is getting better and better after each book. The story is growing up on me, and so did Brook. I really enjoyed watching the character development in the book. Brook is certainly more matured. I'm really happy that Brook's ex made an appearance in this book. It's nice to see how they resolved whatever it was between them. And I'm glad that this time, I didn't have much urge to strangle Brook for whatever she always do to her relationship. I love the bits of romance in the book, both with the main and supporting characters. They were really nice and sweet. And I love how the story ended in this book. Heart Condition is definitely a fun and entertaining read. I definitely enjoyed this thoroughly. If you have read the previous two books from the series, you wouldn't want to miss this one. I received a copy of this book from the author/NetGalley to provide an honest review.